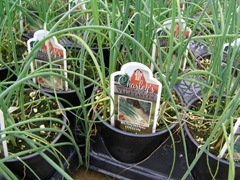 Evergreen Bunching Onions are not only easy to grow but are the fastest to harvest. The clusters of long, tasty stalks are green and are ready for harvest when about 12″ tall. Onions should be planted in late February and early March. Onions do best when temperatures are cool. They will mature in approximately 100 days. Harvest when two-thirds of tops have fallen over. Careful handling to avoid bruising helps control storage rots. 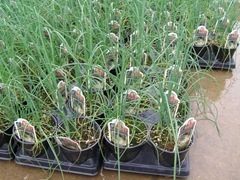 Cure onions after harvest in a well-ventilated attic or porch away from direct sun light for one to two weeks. Tops may be left on or cut off, but leave at least one inch of the top when storing. Thorough curing increases storage life. Spacing: Plant 4″ apart in 12″ rows. Outstanding Features: Very easy to grow. Onions have compounds that reduce the risk of heart disease and cancer. 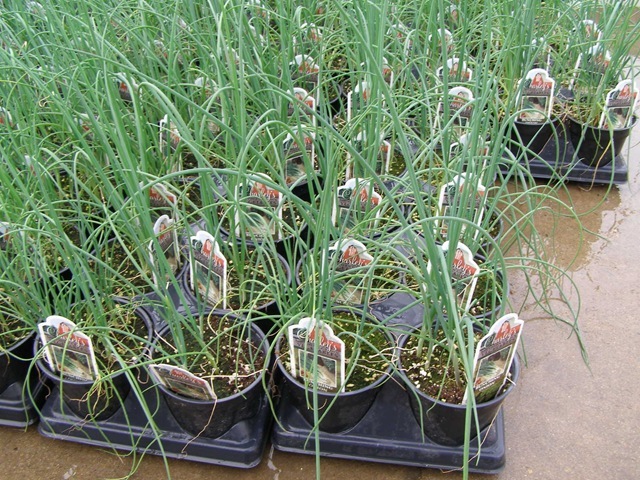 Tips: If planted from seed, separate the onions when they are 2 inches high and replant them 1 to 2 inches apart. They have shallow roots so keep the weeds from choking them out.